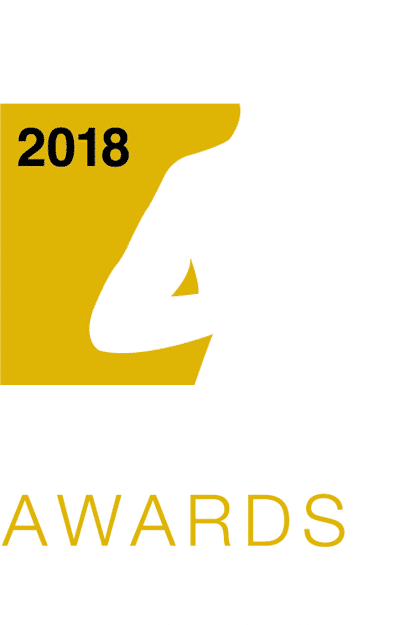 The Georgie Awards® was established in 1992 by a group of industry professionals who decided to start a housing awards program, not for economic benefit, but to provide value to the residential construction industry and communities throughout British Columbia. The awards were named after Captain George Vancouver, an officer in the British Royal Navy, who first entered the Straight of Juan de Fuca on April 29, 1792. Captain Vancouver was the first European to enter Burrard Inlet, named after his friend Sir Harry Burrard (a British Member of Parliament), on June 13, 1792. In 1992, entry into the awards was open to all builders, renovators and developers in the province of British Columbia. In 2001, in order to manage and strengthen the integrity of the program, the Georgie Awards® was changed to a CHBA BC members-only recognition program which it continues to be today. 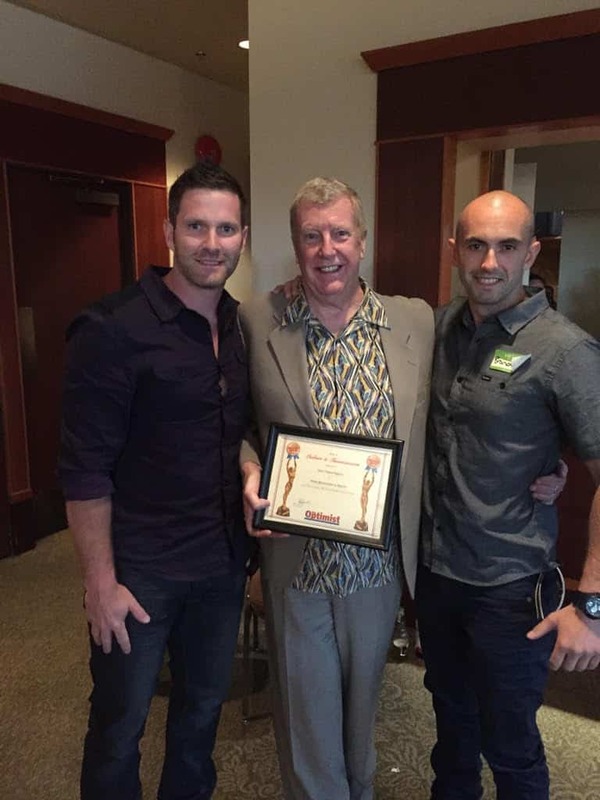 Now in its tenth year, the Greater Vancouver Home Builders’ Association (GVHBA) Ovation Awards continues to grow and capture the attention of industry and the public. 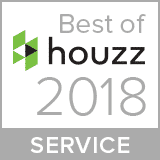 From modest kitchen renovations to stunning whole-home transformations, and from family-oriented townhouse communities to luxurious custom-built estate homes, the Ovation Awards highlight the best projects GVHBA members have built, renovated, designed and marketed in Metro Vancouver. 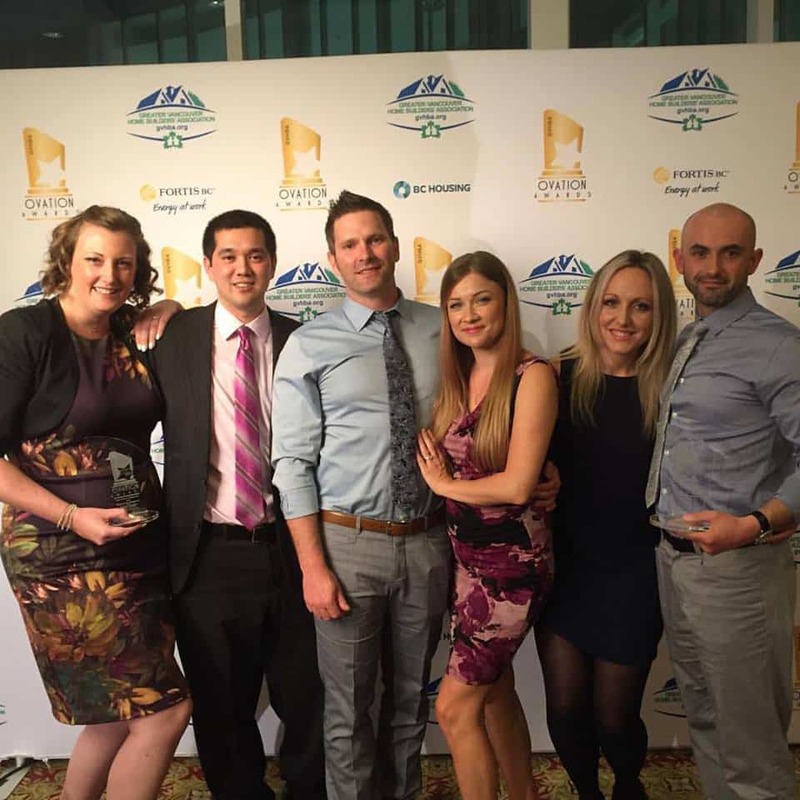 The GVHBA established the Ovation Awards to recognize these influential and trend-setting companies. and home professionals together in a uniquely visual community. 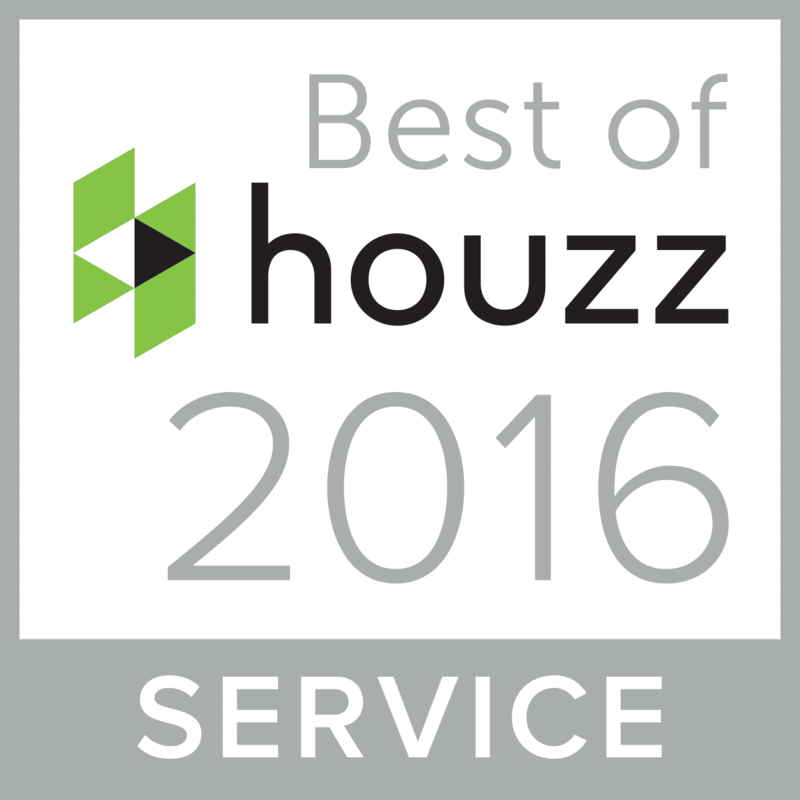 This professional was rated at the highest level for client satisfaction by the Houzz community. Together with the talented folks at Sarah Gallop Design Inc, we proudly accepted the 2017 Ovation Award for Best Kitchen Renovation. Tonight was a big night taking home first place at the Georgie Awards for best kitchen under $125k. 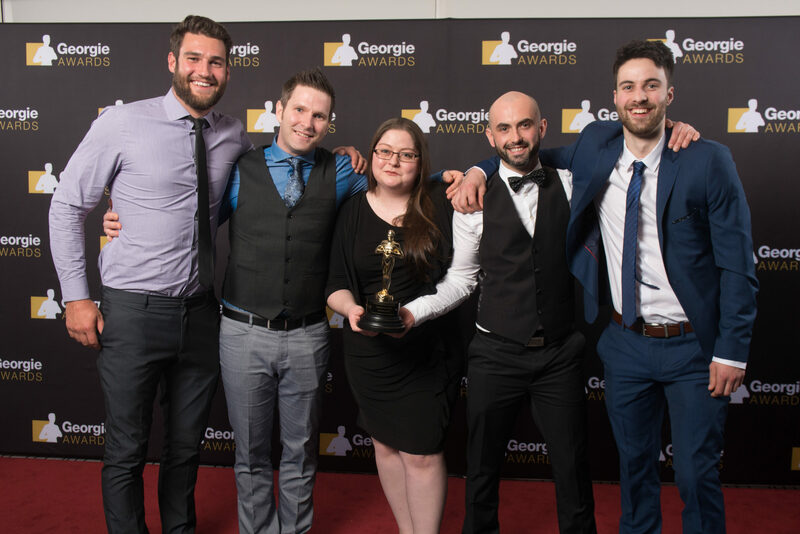 We are incredibly proud of our team! 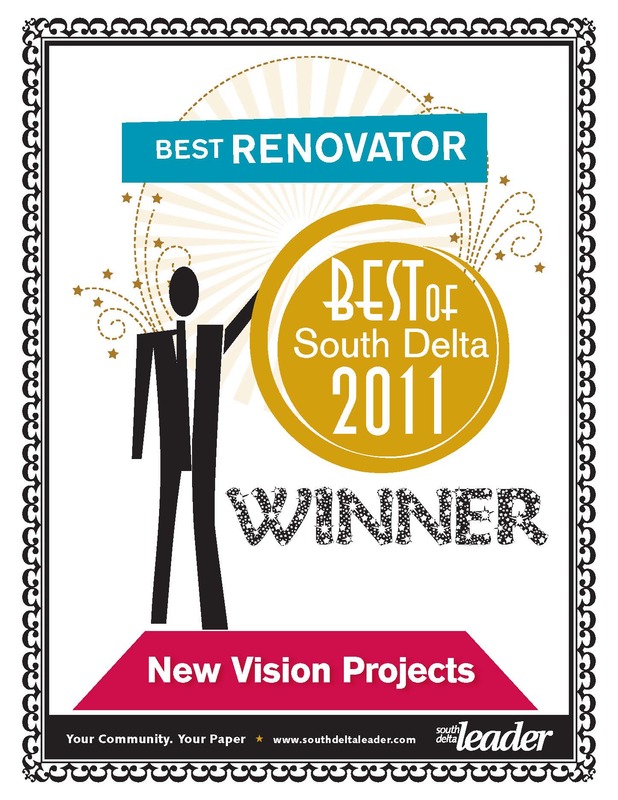 Best of South Delta: The 19th Annual Reader's Choice Awards was presented to New Vision Projects for Home Renovations and Repair. 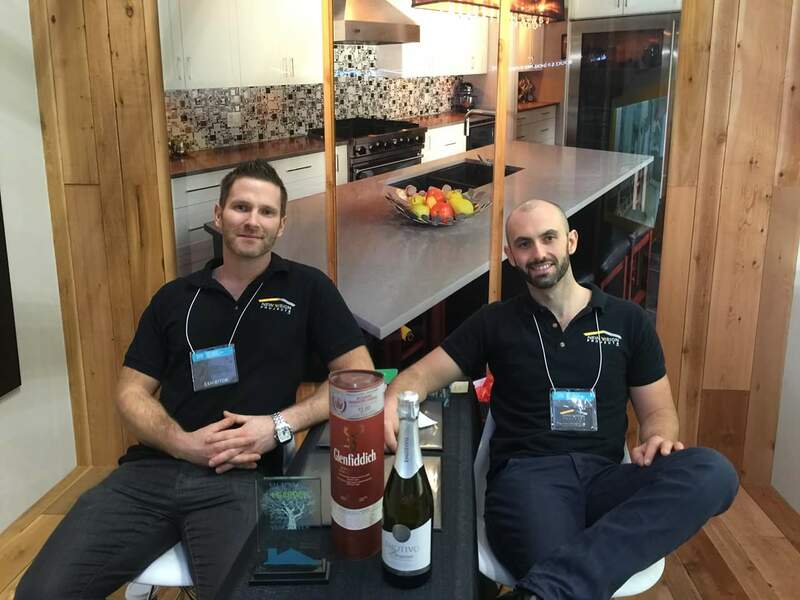 We had a great time at the BC Home + Garden show this year at BC Place. We met with a lot of new colleagues and spoke with a lot of people passionate about home renovation projects. We’re looking forward to what the year brings, and judging by the turnout at the show, so are you! For constructing our booth, we decided to go with a non-traditional booth and instead built it ourselves. Using the materials and the design of the booth spoke about us as a company and what we are all about. We had decided to design a booth conveying our strong reputation, accessibility, and superior craftmanship. It was our hope that anybody attending the show this year would be able to get a sense of these values from our booth alone, and it seems those voting at the show decided that this was the case because we took home the prize for best small space booth. Thank you to everybody that came by to see us this year, we certainly enjoyed seeing you there. 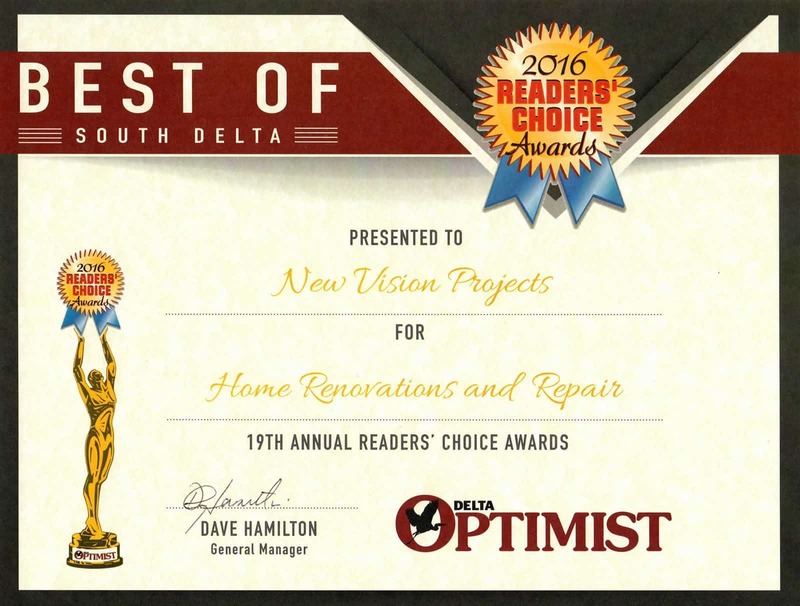 Best of South Delta: The 18th Annual Reader’s Choice Awards was presented to New Vision Projects for Home Renovations and Repair. 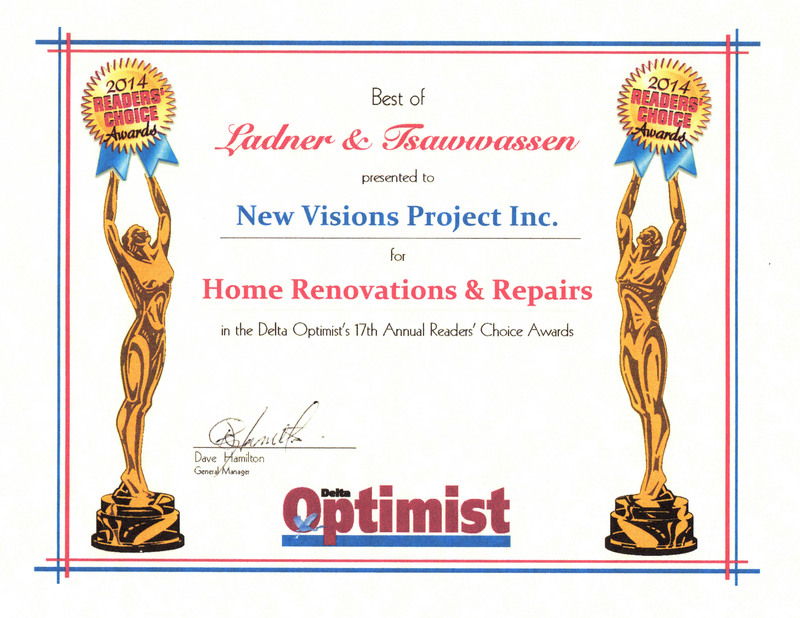 Best of Ladner and Tsawwassen: The 17th Annual Reader’s Choice Awards was presented to New Vision Projects for Home Renovations and Repair. 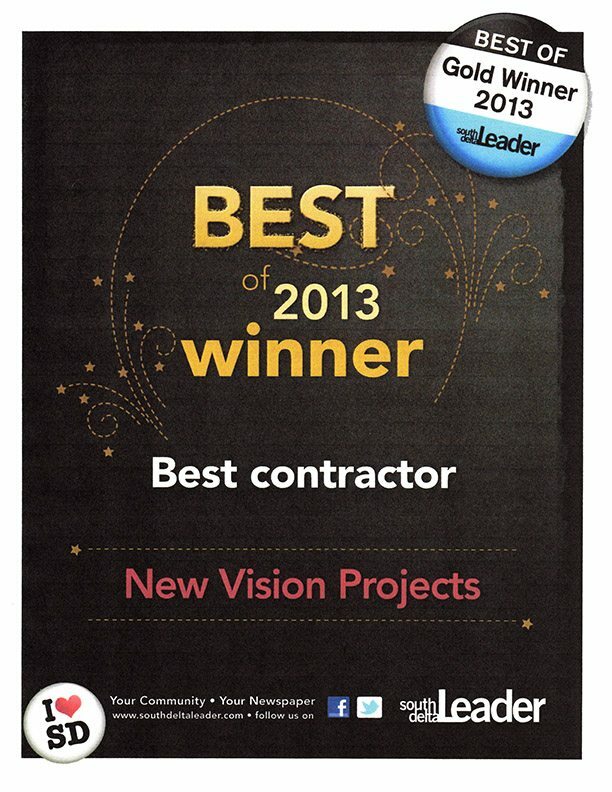 Best of 2013 Winner: Best Contractor. 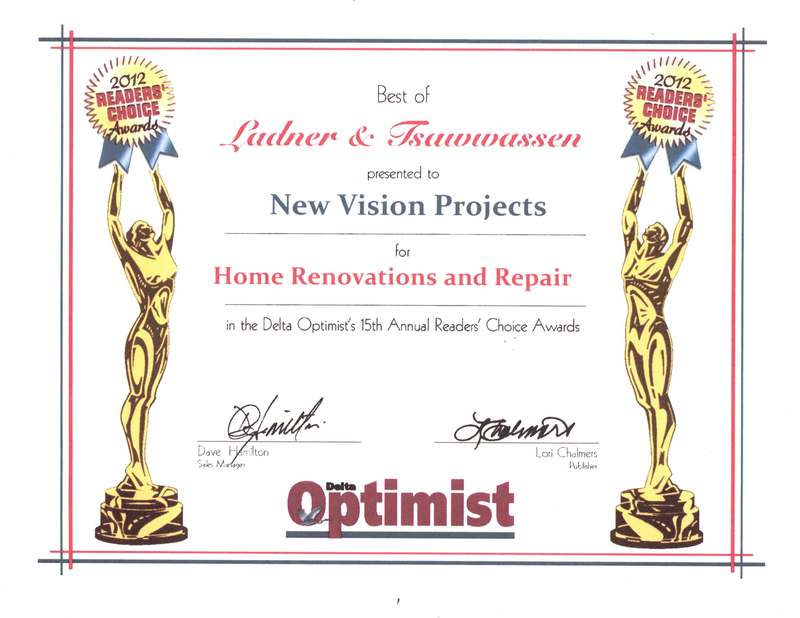 Best of Ladner and Tsawwassen: The 15th Annual Reader’s Choice Awards was presented to New Vision Projects for Home Renovations and Repair.